Tufcoat offer shrink-wrap training services for scaffolding, marine and industrial applications to make sure if you purchase material from us, your project goes as smoothly as possible. We understand not every requirement is the same, so our team will organise training catered to what will work best for you. From learning how to drop and weld sheets on scaffold structures to covering units of any shape or size Tufcoat, will ensure you are confident at completing your own projects moving forward. Up to five operatives can take part in the hands-on course. We know it can be hard freeing up manpower for the day so will work around your schedule to book in the session at your premises. Our trainers are part of our installations teams so have years of practical experience delivering shrink wrap projects of any nature and can share real-world insights on the day. 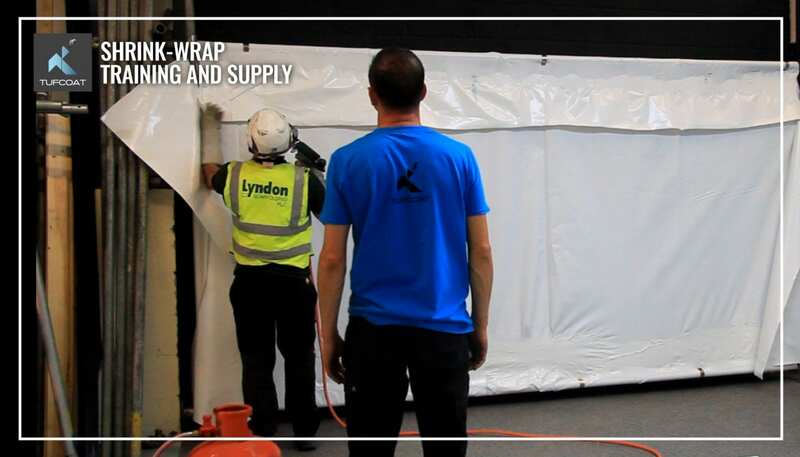 Before starting on live projects, it is important to conduct the introductory scaffold shrink wrap training session on a small frame either erected at your yard or Tufcoat premises. Being a very hands-on session, candidates need to be able to use the heat tools and make mistakes in a controlled environment rather than on a live project. The course will cover all aspects of wrapping scaffolding; from familiarising with the tools to assessing structures, creating welds and shrinking of the sheeting. 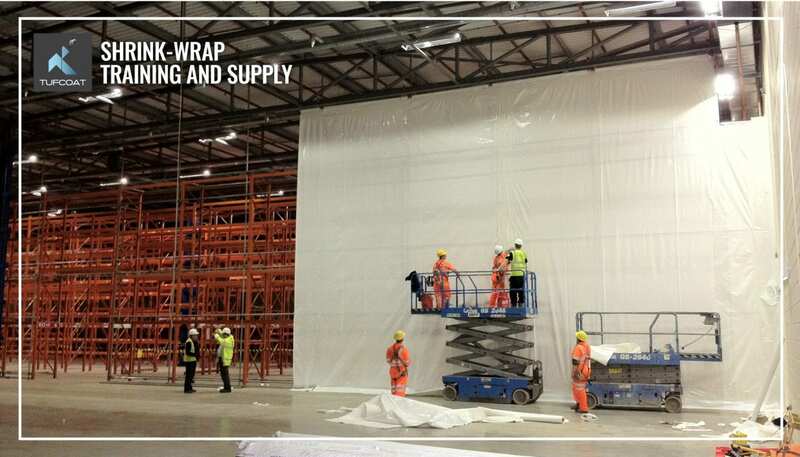 Once the basic skills have been acquired the best way at improving with scaffold shrink wrap sheeting is by completing live projects. Tufcoat’s trainers can assist and oversee on your first few jobs to ensure a smooth transition to delivering your own shrink wrap work. Despite the basic methodology being the same, shrink wrapping a modular unit takes a different approach to shrink-wrapping a helicopter or a boat. That is why when we conduct training for industrial and marine applications, we come to you and complete the session on the typical object you are looking at being able to protect moving forward. From understanding the best way to set out sheeting to figuring out access and lifting points, your operatives will gain practical techniques relevant to what will best suit your company.